The aviation industry involves all aspects of aviation, including airlines and training centers, vendors and regulatory authorities. Its purpose and objective is to transport people and goods throughout the world. India aspires to be the third-largest in the world aviation market by 2020 and the largest by 2030. These predictions have increased the number of low-cost airlines and the international aviation industry has opened its doors to extremely lucrative salaries in Indian as well as international sectors. Owing to a general rise in living standards, new private airlines coming up coupled with falling air-fares, air travel is finding more and more takers. The aviation industry is huge and requires people with varied skills in its different departments. Therefore, you have a number of choices for courses in this sector. Pilot training, cabin crew training and aeronautical engineering are some of the popular courses in aviation. With the industry expanding rapidly, a large and highly skilled workforce will be needed to ensure its steady growth. Have you ever dreamt of flying to far-away lands, waking up in exotic surroundings and leading an adventurous life? Being a commercial pilot can fulfill all your dreams and earn you a good salary while you’re at it.A globe-trotting career, office at 30,000 feet above the ground and a challenging life are a few of the perquisites of being a commercial pilot. But do not get misled by the glamour of being a pilot. Apart from being a good career, a pilot needs to be a highly trained and skilled professional, as the job is tough and demanding. A pilot needs to fly various aircrafts including helicopters. Flying may not require much physical effort but the mental stress of being responsible for a safe flight of an aircraft full of passengers in all kinds of weather is very demanding. To this, you can add irregular hours and a day to day life that is difficult to plan. 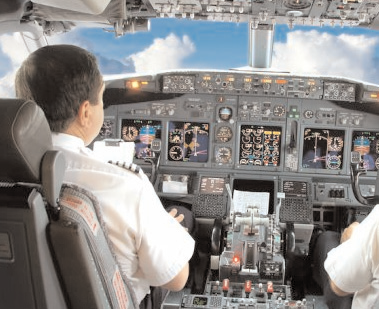 Pilots need to be physical and mentally fit and have good eye sight and color vision. Every year, the Directorate General of Civil Aviation (DGCA) conducts pilot license examination at a number of cities including Delhi, Mumbai, Kolkata, Chennai, Ahmedabad, Patna, Guwahati, Bhopal, Bhubaneshwar, Hyderabad, Bangalore, Kochi and also at IGRUA. Career opportunities: Commercial flying has high salaries and a large number of perquisites and benefits. Job opportunities are varied, such as corporate aviation (flying company airplanes), agricultural flying (crop dusting), or flying full time in the armed forces. You can, of course, work for any of the domestic and international airlines like Air India, Spice Jet, Lufthansa, Jet Airways, AirAsia, IndiGo, etc. The first step towards becoming a Commercial Pilot is getting an SPL, a license required to enroll in a flying club recognized by the Directorate General of Civil Aviation (DGCA), Government of India, or by an authority abroad. To be eligible to apply, one needs to be at least 16 years old and be a 10+2 (with Physics, Chemistry and Maths and at least 50% marks in aggregate). The application process starts with theory and oral tests on navigation, meteorology, air regulations, etc. Post that you are required to submit certificates of DGCA approved medical fitness, security clearance and a bank guarantee of Rs 10,000. When you successfully complete this examination, you climb your first step towards becoming a commercial pilot, armed with an SPL certificate. The DGCA website regularly updates new regulations, requirements and approved centres. PPL is the basic license required to take up flying as a recreation or private sport. PPL allows its holder the privilege of flying as Captain or co-pilot of an aircraft not for the purpose of public transport or aerial work. He shall have passed Class Ten or equivalent Examination from a recognised Board and shall not be less than seventeen years of age on the date of application. You start your air-borne career after a total of 60 hours of various flying exercises and rigorous training. A suitable flying school in India or abroad should be chosen for this after good research and considering factors like place, cost, reputation of the school, etc. To be eligible for PPL, the prospective pilot needs to appear for the flying school centre as well as DGCA theory tests about aviation and submit a medical fitness certificate from the AFCME (Air Force Central Medical Establishment) or IAM (Institute of Aviation Medicine). The final step to becoming a commercial pilot, CPL, is obtained after you have finished at least 250 hours of extensive flying. CPL is granted to pilots after an intensive theory exam at their center and DGCA exams on aviation and submitting medical fitness test certificate from the AFCME or IAM. Post the CPL, certifications of instrument rating and type rating are also necessary. While choosing an institute, factors like cost of flying and staying (a significant investment), reputation of the school and its review from its past students provide valuable insights. Many education loans and scholarships are available. The staff on an airplane can generally be divided into two groups: the flight crew and the cabin crew. The first are those who fly the plane while the second are those individuals who work in the passenger area. The latter are referred to as the cabin crew and includeflight attendants, stewards or stewardesses or air hosts or hostesses. Airline cabin crew is responsible for the comfort, safety and welfare of passengers travelling on aircraft during flights. The role can be physically and emotionally demanding; there is a high degree of responsibility involved and cabin crew are expected to deal with all passengers diplomatically even when feeling the effects of travelling through time zones and spending extended periods of time on their feet. Many airlines require cabin staff to live within close proximity of a particular airport, since crew members may be called at short notice. Working hours may involve long shifts and unsociable hours and it may be necessary to work during public holidays. Graduate degree from a recognized university, or Plus Two/Equivalent with 3-year diploma in Hotel Management and Catering from a recognized institution. Knowledge of the national language and at least one international language (English) is generally essential. The applicant should be physically fit with a pleasing personality and clear complexion. *Height: Minimum height should be 170-180 cms (bare foot). *Vision: Preferably normal eyesight without glasses; or minimum uncorrected vision (distant) should be 6/24 in each eye. *Visible tattoos and piercings are strongly discouraged and staff is required to look smart often involving wearing a uniform. Air cabin crew members have multiple career options. They can seek job opportunities in public sector airlines, like Air India. However, most cabin crew members prefer private airlines operating on domestic and international routes. Private airlines like Jet Airways, Spice Jet, IndiGo Airlines are some favored firms for cabin crews. With experience, they can become supervisors and assign and oversee the work of junior cabin crew members. Most airlines allow crew members to opt for other jobs within the airline, depending on their suitability for the positions available. Some airlines allocate routine administrative and other ground duties to senior flight staff members. All commercial airlines have their own walk in interviews for cabin crew and they provide training as well.